MEM FOX and JAN THOMAS: WHAT COULD BE BETTER? I LOVE Mem Fox. And I LOVE Jan Thomas. Two of my very favorite authors for young children. and it is the best thing ever that Mem Fox and Jan Thomas created LET'S COUNT GOATS! together! Really, it is like a match made in heaven! Whoever thought of this idea is truly brilliant. If you love WHERE IS THE GREEN SHEEP (and, really, who doesn't) and if you love WHAT WILL FAT CAT SIT ON (again, who doesn't? ), you will double-love LET'S COUNT GOATS! I promise. The pattern is similar to the one in WHERE IS THE GREEN SHEEP. The book begins, "Here we see a mountain goat frisking in the sun." and is followed by a rhyme on the next page. Each page gives us new goats. There are goats terrified by thunder and goats huddled in the snow. I like so much about this book. First of all, the rhyme and rhythm is quite fun. You want to read it again and again. Kids will love to count these goats which is fun. The illustrations are brilliant, as is always the case with Thomas. 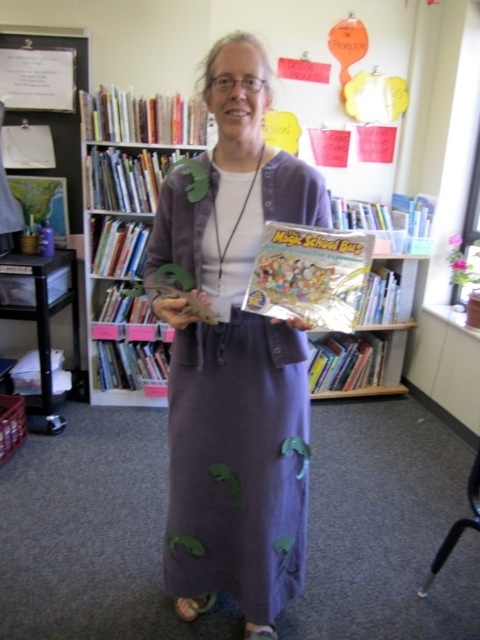 Just as Mo Willems draws characters that his readers can draw, so does Jan Thomas. The simple line and colorful pages make for a perfect match to Mem Fox's words. I am not a big fan of goats. But these goats, I love. From the cover illustration, I loved them. Kids will want to be part of their fun too. They are fun goats. A must have book for everyone. I am sure once I put this in the library, I will never see it again. (And I am pretty sure Bill will want to add this to his "Picks for the PIT". I am sure of it. 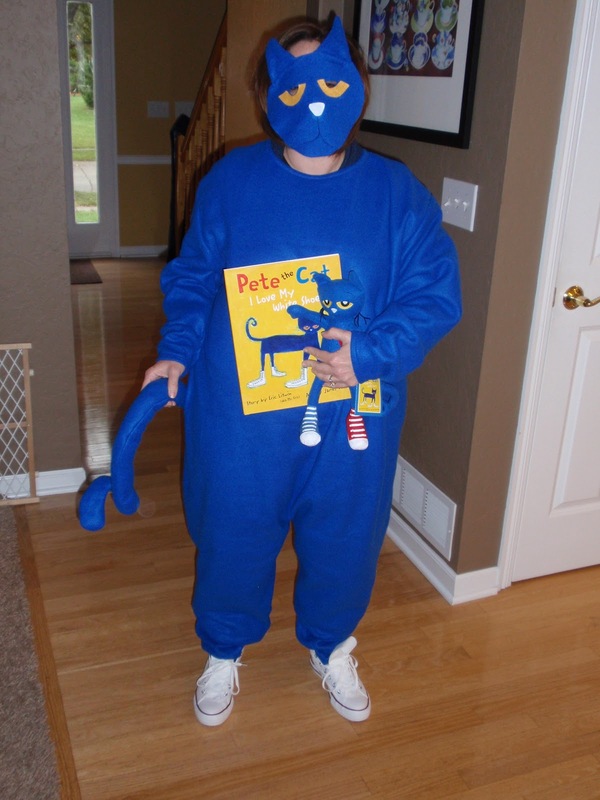 Happy Halloween from Pete the Cat and Miss Frizzle!!! of missing a trophy brown. sore shoulders and wrinkled feet. I'm not the kind of fly fisher who fishes hard for three days, and I don't fish in the winter, but there's still something in this poem that captures what I love about being on the river (or even a pond) and trying to trick the fish into believing that my lure is the kind of insect they want to eat. I wrote in my KidLitCon recap about the strangeness of my non-overlapping selves. This fly fishing self is completely separate from my teaching self and my blogging self. (Those two do overlap somewhat.) The day I wrote my recap, Garrison Keillor had this poem on A Writer's Almanac. There was no meandering search for a poem for today; this one came to me. I can't wait to check out the roundup -- hopefully, some of our new friends from KidLitCon will join us this week! We're gathering today at The Writer's Armchair, with Toby (well, actually her cat Kashi) rounding us up. 1. I read a lot. 2. There's always someone who reads more than I do, and I aspire to be more like them. 3. I don't read electronic books (yet). 4. I love audio books. 5. I once had to drive to Burlington and back in one day (+/- 6 hours) and David Sedaris read to me all the way there and back. 6. My current audio book is CUTTING FOR STONE. 7. I grew up in a house full of books. 8. We had an enormous collection of comic books, too. 9. Everyone in my home was a reader. 10. I went to the library every week when I was a kid. 11. I now have an educator library card that allows me to check out 50 books at a time. I often do. 12. My mom tried to get me to be a mystery reader like she is. 13. I used to think that I don't like to read any mysteries. 14. I'm finding out that there is a kind of mystery that I do enjoy. 15. I found these mysteries through my adult book club. 16. I've belonged to my book club for more than 20 years. 17. My book club stretches me as a reader. 18. 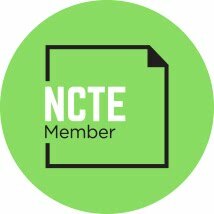 Being on/chairing the NCTE Notables has stretched me as a reader. 19. The Notables has taken over my reading life the past few years. 20. I'm looking forward to reading what I want again. 21. When I was in middle school, I would often spend Sunday afternoons lying on my bed re-reading sad books and letting the tears slide down my cheeks into my ears. 22. I chose to be an English major largely because it seemed like heaven to be able to do all that reading. 23. In spite of my English major, I have read woefully few classics. 24. Teaching kids to read deeply is one of the best gifts I can think of to give to the future of humanity. KidLitCon -- Real or Imagined? It's not like the people in my everyday world don't know I'm a blogger. It's just that the ones who don't blog (ie: most of them) don't understand what it's like to belong to an online community. Oh, they have their FaceBook, but that's where they keep track of people they mostly know or have known in person. The whole idea of being friends online with people you've never met in real life still seems a little creepy to most of them -- their Stranger Danger shields go up. They weren't aware that for the two weeks prior to KidLitCon, I was tucking collaborative work on a GoogleDocs presentation between grading papers, designing lessons and digging through data. And how do I explain the giddy joy of meeting a good friend in person for the first time? How do I explain what it's like in that instant when a good friend goes from being two-dimensional, to three-dimensional? (...and then four-dimensional -- the fourth dimension being the POETRY dimension!!) How do I explain the joy and ease of meeting someone who looks like a stranger, but who comes front-loaded with glimpses of personality through blog posts and comments, and hours of conversation and collaborative work around a common project? On the other side of the coin, my new/old friends at KidLitCon (some of whom I've "known" since we started blogging in 2006 -- Jen Robinson, Pam Coughlan, Melissa Wiley, Kelly Herold, Liz Burns, Sarah Stevenson) don't know what an island of calm the weekend provided from the raging river that is my teaching life right now. Said raging river is what has delayed this recap/reflection, and made it linkless and photoless. It's all I can manage right now. Okay, two links: Our Poetry Friday presentation is here: http://tinyurl.com/27qzgf5, and a recap of recaps is here. On Friday and Saturday, I attended SLJ's Leadership Summit in Chicago with colleagues Bill and Beth. The theme of the conference was "The Future of Reading" and I came back with lots of new thinking. -I enjoyed Stephen Abrams opening talk setting up the conference. I read his blog and follow him on Twitter and have learned so much from him. It was nice to hear him as the opening speaker. He shared the slides from his keynote on his blog which I am anxious to revisit soon. -Donald Leu discussed some research surrounding new literacies. I would like to go back to his work and dig a bit deeper as there was quite a bit to digest. One of my favorite quotes from Leu was, "The Internet is this generation's defining technology for reading." A summary of his talk can be found on SLJ's website. His slides can be found on Slideshare. -Francey Harris brought a group of 4 high school students who were part of a panel discussing teens as readers and what they want/need from libraries. They were amazing students and their thoughtfulness and honestly will help us all think through our own work. -Joyce Valenza shared her own questions about ereaders and ebooks and what they mean for libraries today. She is so skilled at sharing so much great thinking in such a short time. I was able to hear her for the first time this summer at November Learning and was thrilled to be able to hear her speak again this week. -Peter Gutierrez, a member of NCTE's Commission on Media, spoke on the role of pop culture and fan behaviors. This is the first time I was able to hear him but I am hoping to attend his sessions next month at NCTE in Orlando. -Chuck Follet shared ways in which several libraries are changing and growing. -Catherine Snow shared great insights on why our students are not ready to deal with the sophistication of the text presented to them. -The information that was shared by the Carnegie Corporation was incredible and I need to go back to their thinking sometime soon also. One of the highlights of the conference was the evening event announcing SLJ's Trailee Awards. If you have not had a chance to look at the 24 nominees in various categories, they are worth your time. 24 amazing book trailers created by students, adults and publishers. I was very impressed with the student-created book trailers. Honestly, there was very little difference in the student-created book trailers and the publisher created book trailers. Just a reminder at how technology is allowing our students to create amazing projects. Talking to colleagues and networking was also a nice part of the conference. Having time to think through some things with local colleagues was nice. We never get that kind of time at home and we need to figure out how to find more time to meet and talk. I met and chatted with Mary Burkey of Audiobooker blog. I learned so much about audiobooks in the short time I talked to her. I have never been much of an audiobook reader but am ready to give them another try now that I have her blog as a resource. I was also able to meet two of the professors from my University of Alberta Teacher-Librarianship program-Dr. Jennifer Branch and Dr. Joanne de Groot. We had time to chat after the conference and it was so nice to visit face-to-face after having spent so much time in online classes, etc. I also met a student who has been in both of my classes and who I am anxious to learn from in terms of books for older readers. I feel like I was introduced to many people's work at this event. I am hoping to take time in the next few weeks to look for more work by several of the speakers and to really dig into the ideas they shared. It was definitely a worthwhile event for me and I am anxious to sort through my new learning. I love how the conference was archived in so many places. Revisiting the hashtag on Twitter (#sljsummit10) will help remind me of some of the learning I am forgetting. SLJ is doing a wonderful job of compiling things on their site and the SLJ Summit 2010 Flickr group is a fun way to revisit the conference. I think this is one of those conferences I'll be revisiting often over the next few months. Thank you to SLJ for an amazing oppotrunity! I finished A MILLION SHADES OF GRAY today on the plane. This book has been talked about a lot since its publication and I've seen it on several Mock Newbery lists. I can so see why. It is a great read. Y'Tin lives in a village in Vietnam and is in the midst of the Vietnam War. Y'Tin is an elephant trainer--one of the best at such a young age. He has a special relationship with his elephant, Lady. But war comes to their village and Y'Tin's life is changed instantly. Y'Tin and many other villagers have to go into the jungle and Y'Tin also must save his elephant and make important decisions about what is best for them. This is a sad story. A bit hopeful at times, but an honest look at what war does to communities. It was not one that I could read from cover to cover. It was definitely a story of war with the horrors being made clear--not the blood and battles, but the emotions that go with war. Y'Tin is a great character, one that you love almost immediately. Y'Tin is a character who has courage in different ways throughout the story. No decision is easy in a time of war and Y'Tin must make many decisions. Because of the setting and the sophistication of the book, I think this would be a great book for grades 5 and up. I can think of one class I had years ago who would have loved it as a read aloud. For readers who want a deeper read, It is a great animal story, a great war story, and a great coming of age story all in one. My head-shaking admiration of the fabric of life is not (today at least) about the shock waves of hurt caused by life's roughly taught lessons, but rather the complex and stretchy connections that hold us all together. Or bring us together, in Minneapolis, stretched and pulled from across the country to talk about blogging and Poetry Friday. Thank you, Andi, for doing the Poetry Friday roundup today at a wrung sponge! In January, we reviewed THERE'S A WOLF AT THE DOOR--a great, over sized book of fairy tales told in graphic novel form. I have loved this book and it is quite popular in the library. Even though I am sure it doesn't fit in any child's bookbag, they figure out a way to get it home! So, I was thrilled to see another book that follows this same idea by Zoe Alley. THERE'S A PRINCESS IN THE PALACE: FIVE CLASSIC TALES does for princesses what THERE'S A WOLF AT THE DOOR did for wolves. This very fun, pink, over sized book (really, what more could you want!) is the retelling of 5 classic princess tales including Cinderella and The Princess and the Pea. The humor in the dialogue and the personalities of the princesses are quite fun. My 11 year old laughed aloud as she read the ending to Cinderella. A fun book and a great addition to any fairy tale study. I loved the first book but love this one even more as some of these stories are my favorites. This author knows how to bring classic tales to life in a very unique way. This music, long used to introduce children to classical music, does not need poems to suggest the animals each piece describes with sound. These poems, written by the first U.S. Children's Poet Laureate, do not need musical accompaniment to help their rhythms and rhymes suggest the animals they describe -- the lumbering elephants, the flitting birds, the obnoxious donkeys, the slow and ancient tortoises. But this music and these poems together, make the music more fun to listen to and the poems more fun to hear and say. What a great way to introduce children to the sounds of language along with the sounds of the orchestra. Google books preview is here. This is the story of an ogre so awful that the villagers cower in terror underneath tables when the ogre is afoot. This ogre is confident that he's "Absolutely invincible!" Then he meets a sweet girl who, even though she recognizes his flaws, insists that he's not so terrible. "Overbearing perhaps, arrogant for sure, somewhat self-important, a little too mean and violent, I'm afraid, and a bit messy. Your shoes could certainly use a polishing, but I'll bet if you brushed your teeth combed your hair, found some new clothes, and totally changed your attitude you'd be quite nice." This is a great book for your word study stack. The ogre has a fabulous vocabulary, due to swallowing a dictionary on one pillage or another. The Odious Ogre by Norton Juster, Illustrated by Jules Feiffer from Expanded Books on Vimeo. Here's a new way of approaching the story of the Civil Rights Movement and that famous day when Rosa Parks refused to give up her seat on a bus in Montgomery, Alabama -- this is a biography of Bus #2857, the bus where that moment in history took place. Bus #2857 was made in Michigan, and carried riders in Indiana for six years before moving to Alabama. It carried riders in Montgomery until 1971. It now has been fully restored and lives in the Henry Ford Museum in Dearborn, Michigan. Wouldn't it be fun to tell about other moments in history by researching an object that was instrumental in that moment? The Fairfield County Fair is always the last county fair of the year in Ohio. That's where I'll be today on our day off. not a heat and humidity of summer fair. and snotty-nosed kids running wild clutching carnival prizes. brings curious velvet horse noses out of stalls to snuffle. pick out the craziest chicken breed. poor goose is angry and without real nostrils. Liz has the Poetry Friday roundup today at Liz in Ink. Some series books can be read out of order. Others, like Amulet, have a cumulative story that builds from book to book. A few of the reviewers cited below have a problem with the fact that there is no "catch you up on the story" beginning to this third volume in the Amulet series. However, (and maybe a truer test) Author Amok's 8th grade son had no problem reading this book without the background of the first two. He was interested, stayed with it, totally got the plot, and gave the book his highest rating. Another reviewer took the author to task with not having a balance of pure good to offset the evil in this book. One of the reasons I like this series so much is that good and evil are NOT pure. Emily struggles with the powers of the amulet. The elf prince turns out to be a much more complicated character in this book -- he is not pure evil. The airship pilot who gives up everything to attempt to locate the lost city of Cielis has some unexplained history that may or may not be all good. Cogsley and Miskit (the robot and rabbit who have been protecting Emily since the beginning) are captured by a wyvern, and I certainly hope that Kubuishi will bring them back at some point. The new character we meet at the end of this volume seems to be on Emily's side, but he gets this look in his eye when he talks about power, and Emily doesn't trust him, even though Leon (the fox, her mentor) insists that she will come to trust him. Bottom line -- I really like this series and I especially like Kibuishi's art. My fourth graders will be glad I finally got this review written so they can line up to read book three! Mixed reviews can be found at Comics Worth Reading, Book Dragon, ComicM!x, SLJ's Good Comics For Kids, and Author Amok's 8th Grade Son. Here are two new books to add to your unit on Theme, or your tub of Fables. Moose never wants to do anything exciting with his friends. One day, he gets inspired (or maybe just hit in the head with a golf ball) and jumps aboard a sailboat and sets sail. He is stranded on a desert island where he makes the most of island life with his new sidekick, Tuesday the tortoise. Moose is eventually rescued, returns to his friends and suggests they go cliff jumping. The book ends with Moose and Tuesday making plans to meet for a holiday in Africa. Moral of the story? Make the moose out of life so it doesn't pass you by while you sit under an umbrella wearing 100 SPF sunblock. The trio that taught us to appreciate our friends instead of always trying to be the best in The Legend of Ninja Cowboy Bear are back with a new story about friendship. Ninja loves to play with his friends Cowboy and Bear, but Ninja always wants to play his games, and his games are always rough and rowdy and end badly for Cowboy and Bear. Moral of the story? To be a good friend, sometimes you have to compromise about what to play. I am working with our 4th and 5th graders about really knowing themselves as readers. This week, I gave them a basic reading interview to begin helping them think about what they knew about themselves as readers and then I asked them to turn it over to write 100 things about themselves as readers. I tried to do the same. 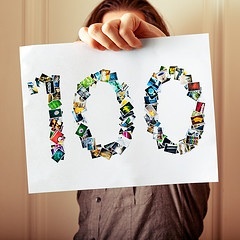 Of course, none of us go to 100, although we might be the end of the year of we keep noticing and adding, but it was a great conversation starter. Here is my list so far. 1. I read almost every Nancy Drew book when I was in 6th grade. My grandmother had the collection in her attic. 2. I loved the Betsy books when I was in elementary school. 3. Realistic Fiction is my favorite genre. 4. No one is allowed to talk to me or bother me during the last 10 pages of a book. Endings are key for me. 5. I have to love the character in a book to enjoy the book. 6. I occasionally enjoy science fiction and fantasy. 7. I loved the Bookmobile when I was younger. It parked right down the street every 2 weeks. 8. Walk Two Moons is one of my favorite books of all time. 9. I have a shelf of books that I haven't yet read. I like to have back-ups in case of a snowstorm or some other reason that I'd have time to read. 10. I often skip parts in books when scenery or nature is described. 11. I am not so good at listening to books on tape. I get distracted. I like to see the print. 12. I almost never like the movie better than the book. 13. I never read a book after I've seen the movie. 14. I get recommendations from friends. 15. I like to read books that are brand new--hot off the press. 16. I don't get excited about having authors autograph my books. 17. I don't really like to share my favorite books. I want my friends to read them but I really like to keep favorites after I am finished with them. 18. I like to alternate between long and short books. 19. I like to read children's fiction on airplane trips. 20. 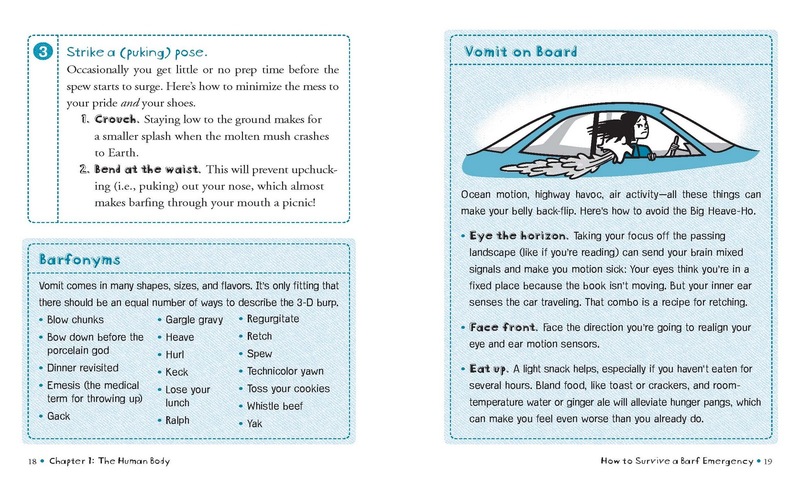 I can't read in the car--I get carsick. 21. I rely on blog reviews and other reviews to choose children's books. 22. I have many favorite authors. 23. I love to hear authors speak and share their work. 24. I love YA books but never have time (or give myself time) to read them. 25. Many Graphic Novels are hard for me to read/understand. 26. My mother read me Secret Garden and A Little Princess when I was little. Still two of my favorite books. 27. Most of my nonfiction reading is connected to my work/job. 28. I have very little patience for reading how-to/directions. 29. I love love love to hang out in any bookstore. 30. I buy too many books. 31. I love to visit new bookstores when I travel. 32. I am convinced that Cover to Cover is the best children's bookstore in the country. This is a really fun thing to do --I know as I live my life over the next several weeks, I will notice more about myself as a reader. I will add them as I notice. Who knows if I will get to 100. It is just a fun way to begin to think about myself as a reader and to pay attention to things I didn't notice. I think the same is true for our kids . Starting a list like this becomes a great tool for noticing these things about ourselves. If you try this, let us know. I realized quickly that when I hear other people's lists, they remind me about things I hadn't thought of myself. "Once there were three eraserheads: an owl, a crocodile, and a pig. They lived with a boy in the land of pencils, paper, rulers, letters, numbers, and drawings. And they had an important job. They erased mistakes." I am a huge fan of erasers because I am a huge fan of making mistakes...as long as they are found and fixed! Are these three eraserheads alive and working independently of the little boy who is making a big imaginative drawing? Or do these eraserheads and the boy work together to find a way to end the story in the drawing with a happily ever after instead of with the eraserheads being eaten by a snake? Or...maybe, just maybe, are the eraserheads only alive in the boy's imagination? No matter what, always remember to say "Hooray for mistakes!" And remember, if there weren't mistakes, "there'd be nothing to learn. And what fun would that be?" 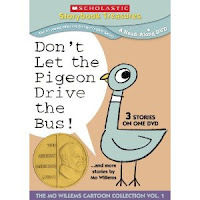 If you haven't heard, DON'T LET THE PIGEON DRIVE THE BUS, the Scholastic DVD, came out last week. I ordered a copy knowing it would be good to have for the library. I don't order many DVDs these days but this seemed like a must-have. I planned to show this to a few classes during Book Fair week since the library is pretty much taken over by book fair merchandise. I ended up showing it to almost every 1st, 2nd, and 3rd grade class and I loved it EVERY SINGLE TIME! This is a great DVD--as would be expected from Mo Willems. The DVD includes an animated version of Don't Let the Pigeon Drive the Bus, Knuffle Bunny, and Leonardo the Terrible Monster. There are also some extra fun clips that I will get to later. I don't ever remember liking a movie or animated version of a story as well as I liked the original book but Mo Willems brings great fun to this DVD. The laughs and giggles from kids of all ages--kids who know and love the books-were contagious. Teachers would pop into the library to see what all of the great giggling was about. The whole DVD is a real treat. -There are little added bonuses--surprises at the beginnings and ends of each story that add to what we already love about the characters. -Mo Willems and his wife and daughter do the narration of Knuffle Bunny which makes it quite fun. 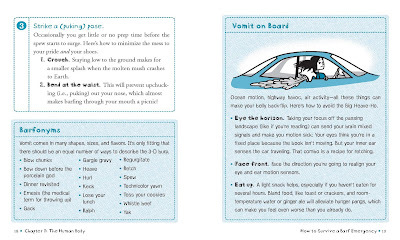 -Jon Scieszka plays the role of the bus driver and I couldn't think of a better person to do this--there is an added part to the book where we get to know the bus driver a bit better. Jon Scieszka is great at the part! -There is a live retelling of the Pigeon book. Mo Willems reads it to a group of children in a library. It is quite fun. -A favorite among some classes were the "You Yell" version of Don't Let the Pigeon Drive the Bus. Yes, the story is told and the group needs to yell the "no" each time the Pigeon asks to drive the bus. Kids had a ball with this. -There is also a Spanish Version of the books on the DVD as well as discussion questions. This DVD is packed and I was sad to see it end during each class. I don't think there was one set of kids who did not ask to see the stories again. I agreed--it is one of those DVDs that you can't watch enough. I am going to make this one available for student check out. We don't have many DVDs that are available for our students but this one would be such fun for kids to be able to share with families. It was such a fun 1/2 hour that I can't not share the fun with our families. Our school is filled with Mo Willems fans that I might even need a few more copies..... An added bonus will be that Leonardo the Terrible Monster will be loved by more children now that they know the book better. Really, if you are a teacher or librarian, if you need a baby gift or a gift for a Mo Willems fan you know, get this DVD. It is really the best animation of children's books that I've seen. And I might just watch it a million times--I love it that much! 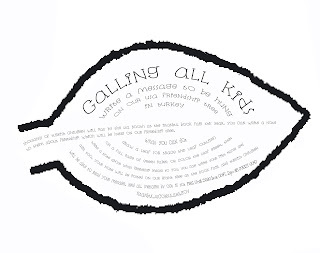 Calling All Kids in the U.S.
Write a message to be hung on our USA friendship tree in Turkey. Thousands of Turkish children will pass by the USA booth at the Istanbul Book Fair this year. You can write a note to them about friendship, which will be hung on our friendship tree. Kim Scrivner is the Cultural Affairs Officer at the U.S. Consulate in Istanbul. She writes: "We are preparing for the annual Istanbul Book Fair and wanted to make an extra effort to include children in our literacy and cultural outreach. We decided to create a large-as-life friendship tree, on which we will post leaf-shaped messages about friendship from American children. As many Turkish children are learning English, this will be one way that they can personally connect with U.S. children and observe that they share similar concepts of friendship and human values. Turkish children will also be able to write their own messages to add to the tree before and during the book fair." For more information, check out the Consulate webpage for the U.S. Consulate in Istanbul, Turkey. I've been away from school and the hectic pace of life for a week and I vacillate between feeling like I've missed everything and nothing. Don't miss the Poetry Friday round up -- it's at Carol's Corner this week. 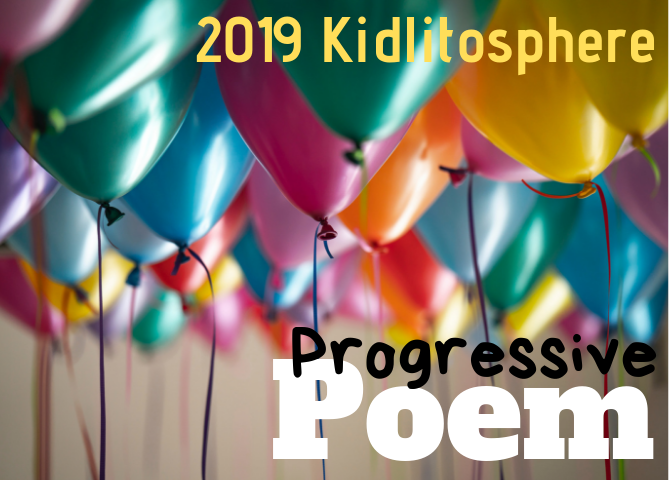 We've had a couple of changes in Poetry Friday round up hosts: Liz and Terry traded (Liz is now hosting on 10/15 and Terry is on 11/12); Andi is taking 10/22 since Mary Ann will be traveling to Minnesota for KidLitCon. Speaking of KidLitCon...are you coming? We (Amy, Toby, Mary Ann, Laura Salas, Elaine and I) hope to see you in our Poetry Friday session! Check out the KidLitCon schedule here. My fourth graders were having a hard time getting their heads around the idea of writing original fairy tales, but once I introduced the idea that they could borrow from familiar stories to create an original, they began having a blast reinventing the old stories by remixing characters, settings, and problems. Vivian Vande Velde obviously had the same kind of fun writing Cloaked in Red. "Everyone knows the story of Little Red Riding Hood, the girl with the unfortunate name and the inability to tell the difference between her grandmother and a member of a different species." After a thorough exploration of the bizarreness of the various versions of this story, Velde suggests that a story as preposterous as this would never get past a self-respecting creative writing teacher, since it doesn't have memorable characters, a vivid setting, or an exciting plot. Besides all that, there is no discernible theme in this story. "However you look at it, "Little Red Riding Hood" is a strange and disturbing story that should probably not be shared with children. That is why I've gone ahead and written eight new versions of it." Versions that begin, "Once upon a time, after fashion was discovered but before people had makeovers on TV, there was a young girl named Meg." Or, "Once upon a time, long after people had found out that their families could sometimes be an embarrassment, but before there were advice columnists you could complain to, there was a girl named Roselle." (In this story--spoiler alert--Granny is a werewolf, which accounts perfectly for her big teeth and hairy arms.) One of my favorite stories is "Deems the Wood Gatherer," in which a seriously myopic woodcutter bumbles through one fairy tale after another, not realizing that his good intentions are sealing the demise of characters right and left. I'll share selected stories from Cloaked in Red with my fourth graders. Older readers will enjoy the book in its entirety. my room. In my room..."
Very fun for predicting (although you're wrong nearly every time, like you are in Apples and Oranges: Going Bananas With Pairs by Sara Pinto) and I can't wait to see the kinds of writing my students will do with this book as a model. 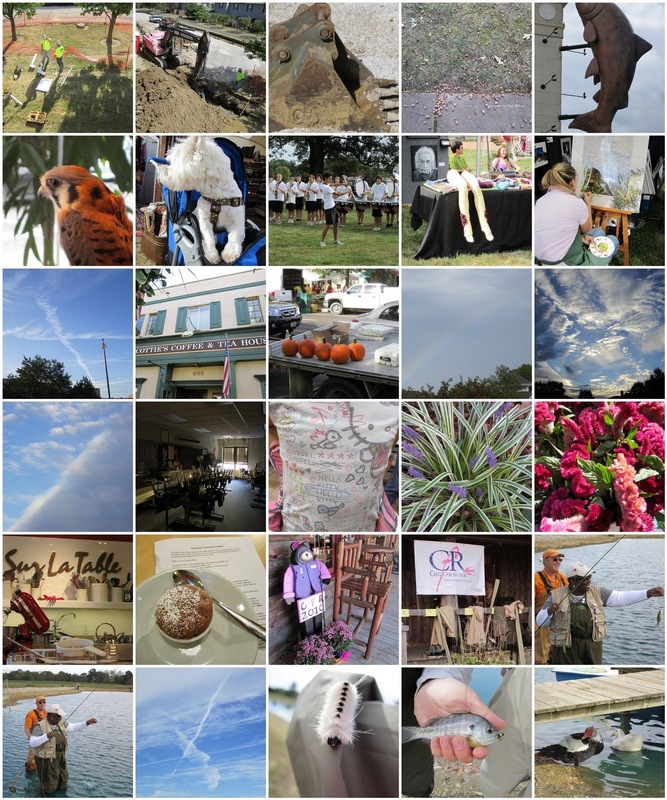 Photo #25 and photo #26 are my two favorites of the month (maybe of all time). One of the participants at our Ohio Casting for Recovery event was so excited when she caught her first fish (#25), and so sad when it promptly flipped itself off the hook (#26 -- see the splash in the water?!?!). Casting For Recovery (CFR) is an international non-profit support and education program for breast cancer survivors. The program involves a free weekend wellness program where, in addition to support and education relating to breast cancer, women learn fly fishing, "A sport for life." CFR weekend programs incorporate counseling, educational services, and the sport of fly fishing to promote mental and physical healing. Founded in 1996, CFR offers free programs across the United States and in several countries worldwide. Today alone, over 500 women will be newly diagnosed with breast cancer. Tomorrow, it will be the same. This number does include those already living with the disease or those who do not know they have it. Now, you can support women on their journey in recovery through daily voting. Casting for Recovery is competing for a $250,000 grant from the Pepsi Refresh Project now through October 31. CFR is currently ranked #4 in its category. When they win this grant, CFR will be able to create 5-7 new retreats and reach more women. There is strength in numbers, so CFR has joined an Alliance of community charities to reach out to even more people. By voting every day through October 31, more breast cancer survivors will have the opportunity to attend a CFR retreat. You can vote three ways each day - On-line, on Facebook, and by Text. It is easy to cast your votes (see below). Vote On-Line: Go to http://pep.si/CFROctoberAlliance. A page with 10 charities will appear. Register or Sign In as instructed at the bottom left corner of page, then vote for all ten charities. Vote on Facebook: Go to CFR October Alliance and 10 charities will appear. Click to vote on one of the partners and when the Sign In or Register page pops up, use the Log in at FACEBOOK in the blue rectangle.The voting page will appear. Vote for all ten. Vote by Phone Text: Text your votes first for CFR to: 73774, enter 101715 in body and send. Then vote for all alliance members; 100847, 102320, 100585, 100242, 102066, 102340, 100505, 100507, 100321. What better time than Breast Cancer Awareness Month to show your support. We thank you on behalf of the women we serve. At CFR, we believe TO FISH IS TO HOPE! What's the grossest thing that's ever happened to me? Well, I've had pets, so I've done my share of gross clean-ups of various yuck that comes out of the front and back ends of dogs and cats. BLECH! I kept Madagascar Hissing Cockroaches as classroom pets for a lot of years. I think they are pretty cool critters, but for lots of people they were really high up on the scale of grossness. EEK! When I worked at the swimming pool, it became routine practice after giving swimming lessons to the littlest kids to skim giant snot-wads out of the water (with no protective gloves) and fling them onto the sidewalk to dry up and blow away. (Better that, than to swim into them!) YUCK! Come to think of it, being a teacher has given me plenty of gross experiences. The grossest was probably when I looked down at a student's head and saw it crawling with lice. GROSS! My most recent gross experience was last Friday when a surgeon cut four little slits in my belly, blew me up like a balloon through one, stuck a light and a camera in through a couple others, and reached in and--snip-snip--cut my gallbladder free and dragged it out through one of the holes. EWWW! 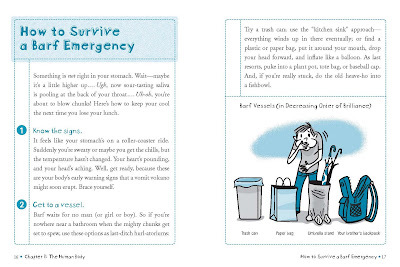 The Worst-Case Scenario Survival Handbooks have been favorites in my classroom since the first one came out. There is no doubt in my mind that this edition will be the most popular. It has boogers, farts, burps, pus, and pinkeye. 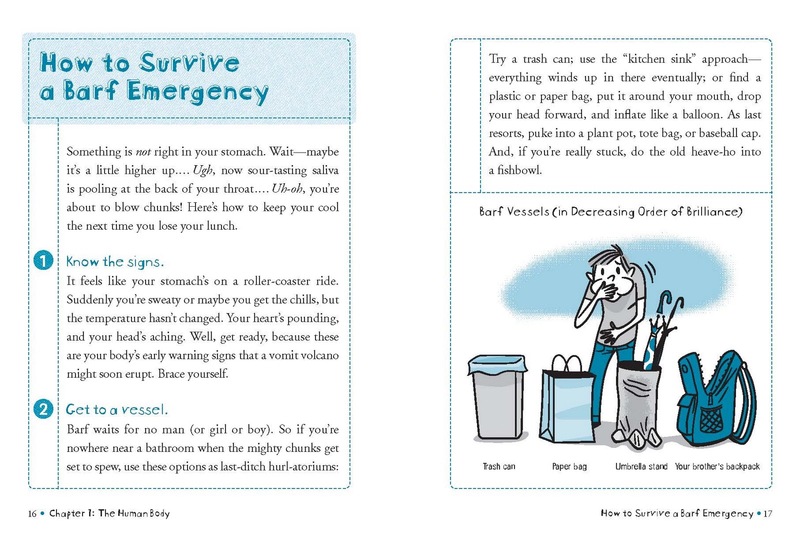 It also has practical information about how to plunge a toilet, how to remove a tick (get an adult's help is the first step), and how to safely drink from the drinking fountain at school. For possible word study lessons, there is a table of barfonyms and a list of poopisms. You can learn how to say what you say after someone sneezes in seven different languages. Oct. 4: A Year of Reading -- YOU ARE HERE! What's the grossest thing that ever happened to you? Share your story in the comments!